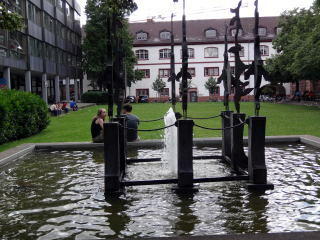 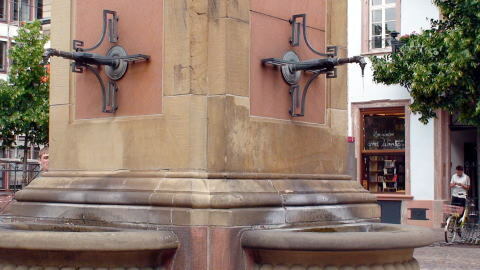 the Ruprecht Building: the Fountain Hall. 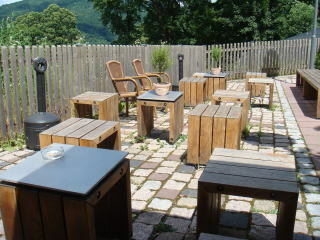 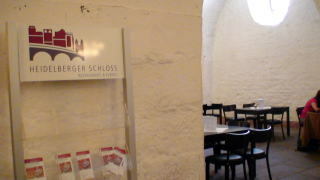 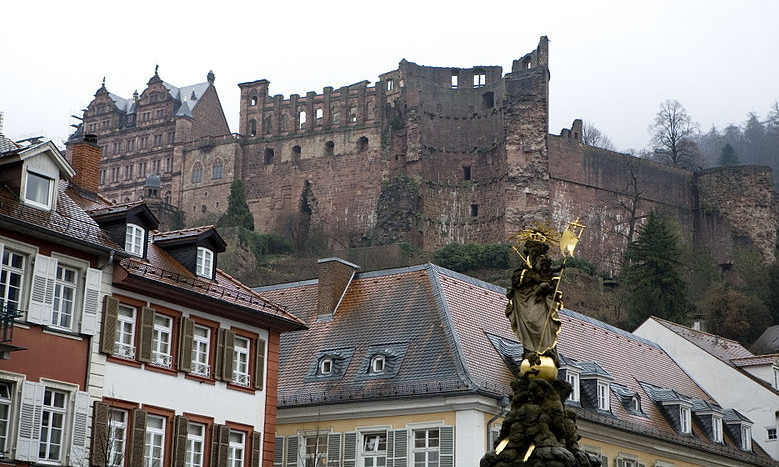 The castle is surrounded by a park, where the famous poet Johann von Goethe once walked. 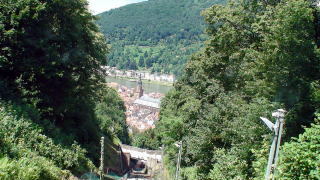 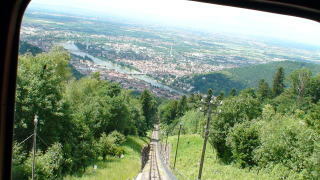 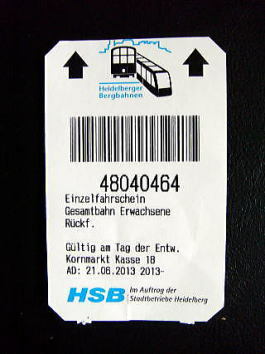 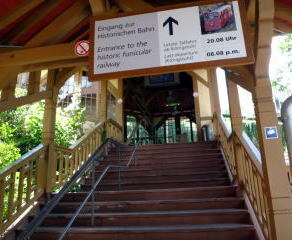 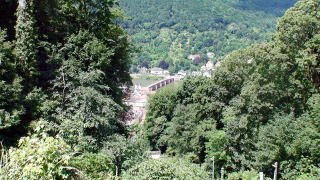 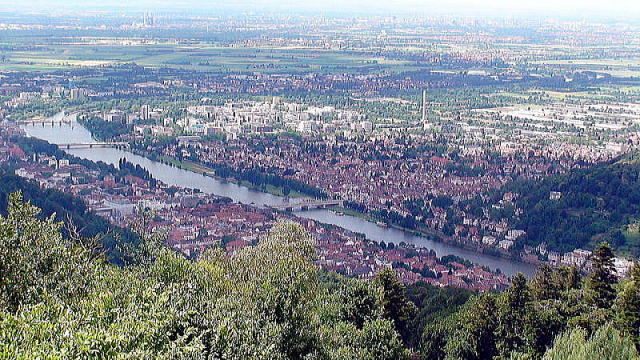 The Heidelberger Bergbahn funicular railway runs from Kornmakt to the summit of the Koenigstuhl via the castle. 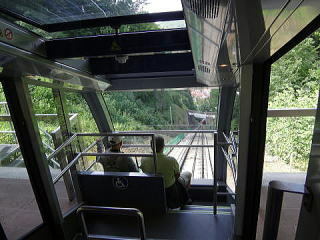 As the cable car goes up, the view gets wider. 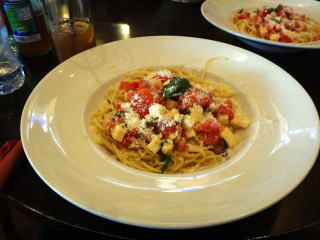 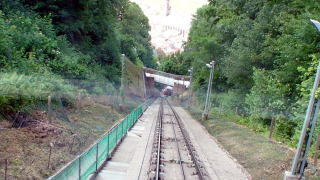 A slope of the cable car is sharp. 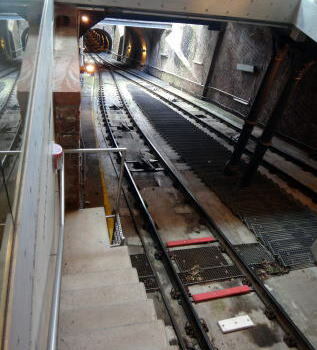 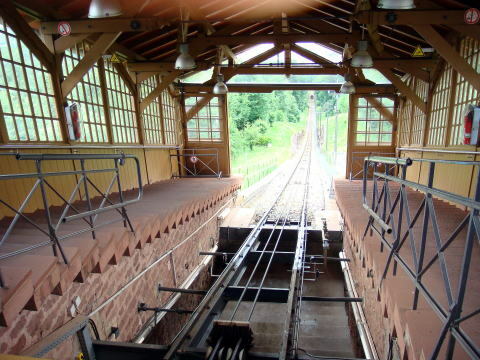 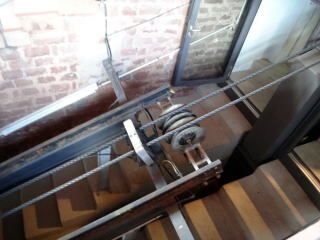 (L) Funicular railway track: Ascending and descending vehicles counterbalance each other. 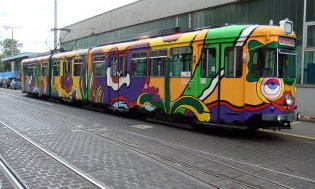 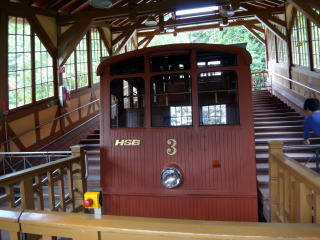 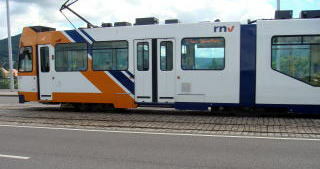 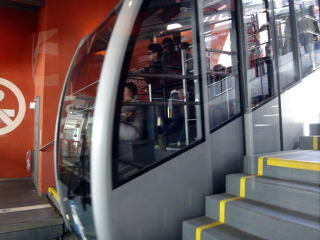 A cablecar passenger has to change the vehicle at Molkenkur station to go up high. 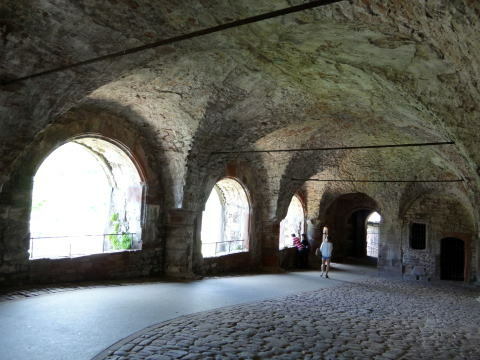 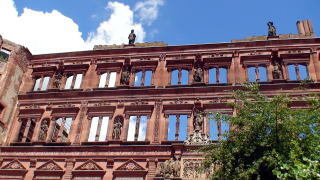 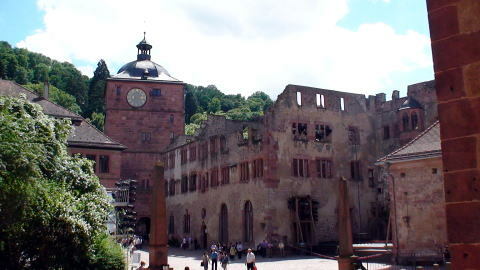 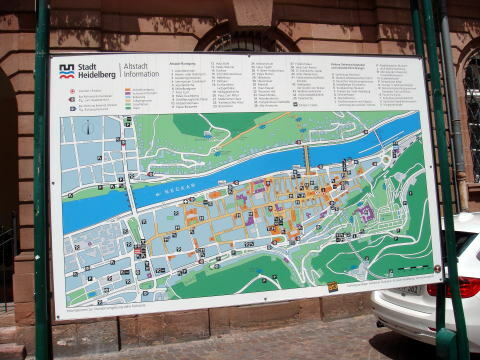 The Heidelberg castle ruins are among the most important Renaissance structures north of the Alps. 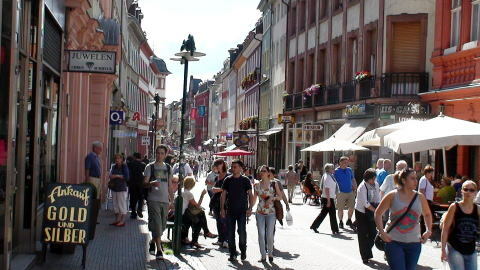 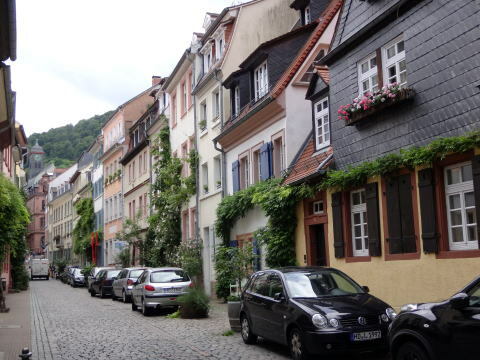 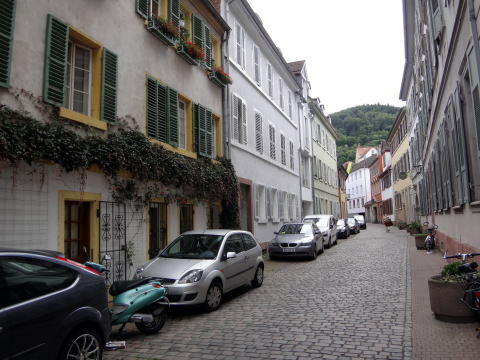 The Main Street, Hauptstrasse, a mile-long pedestrian street, is running the length of the old town. 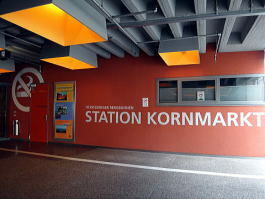 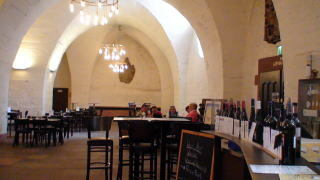 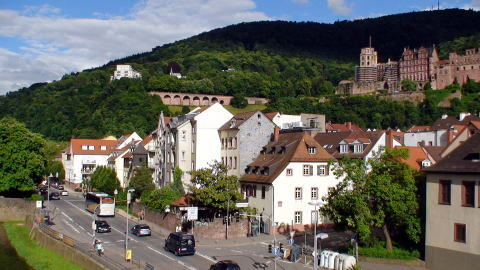 Heidelberg Central Station (Hauptbahnhof) is on the Rhine Valley Railway and is served by Intercity-Express, Euro City trains. 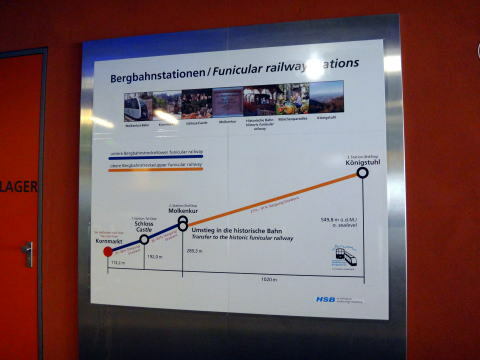 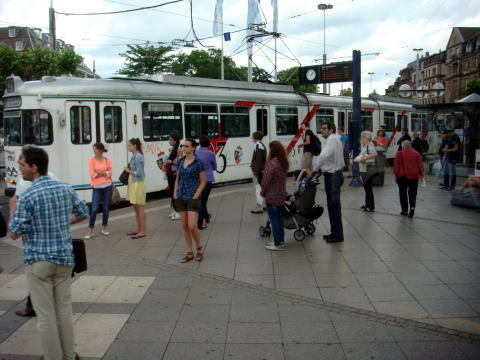 The network of the Rhine Neckar S-Bahn is about 290 km long and is one of the largest S-Bahn networks in Germany. 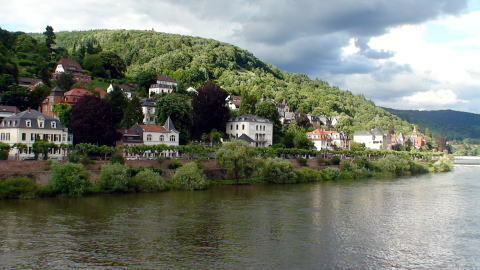 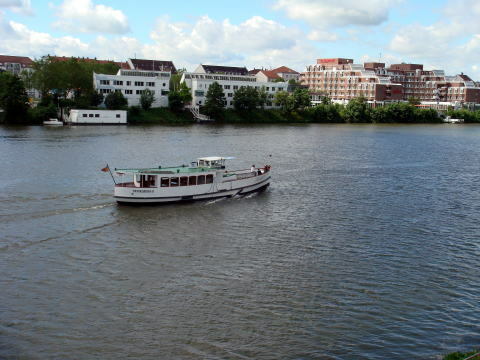 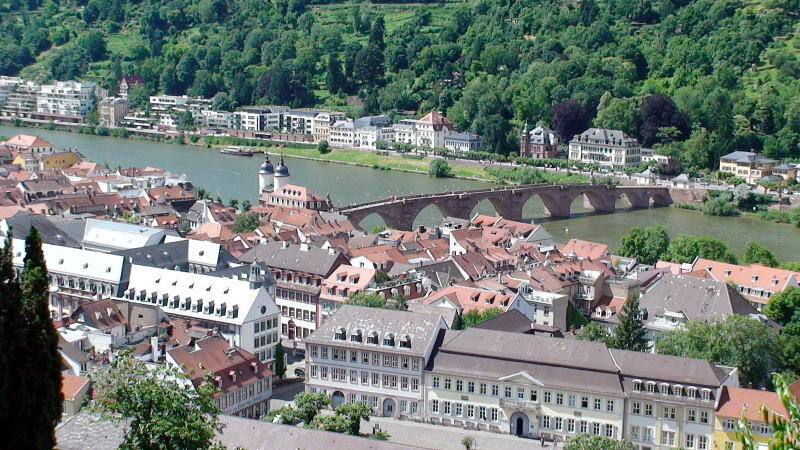 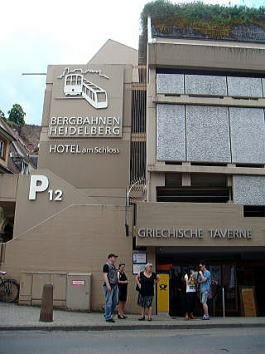 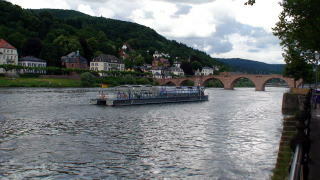 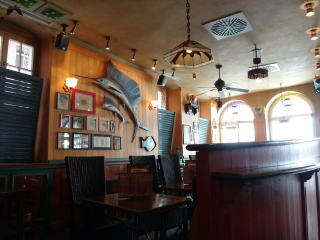 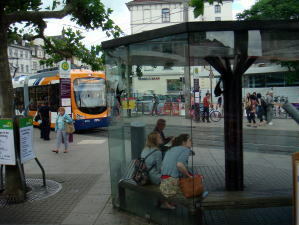 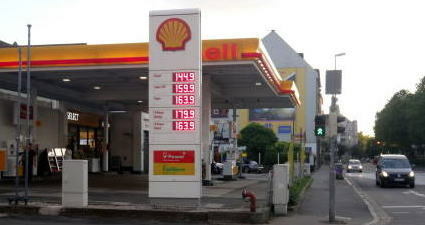 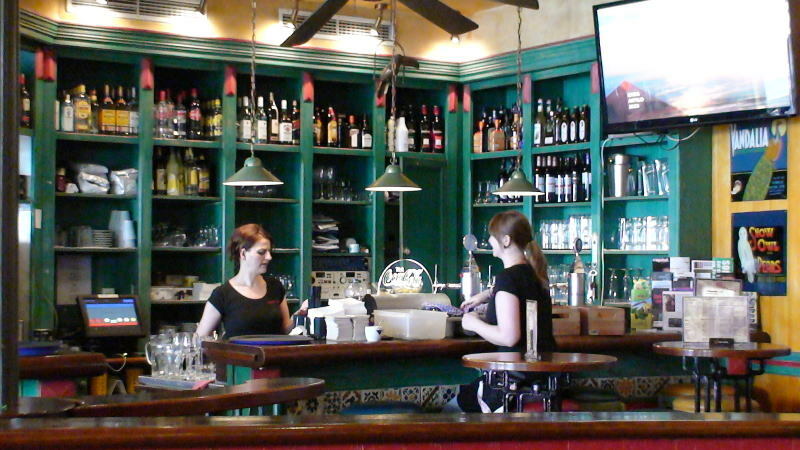 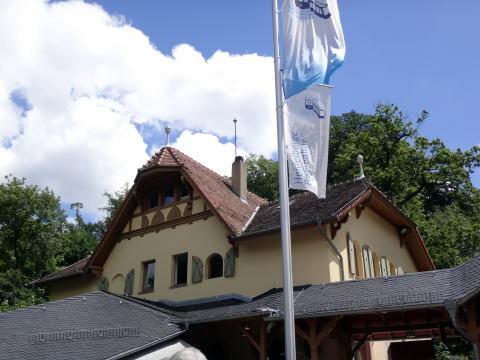 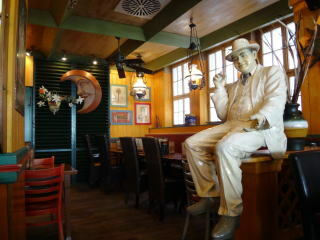 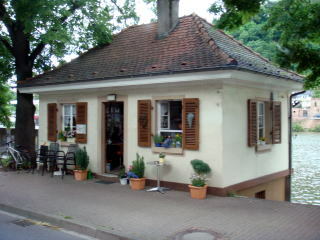 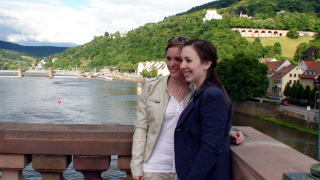 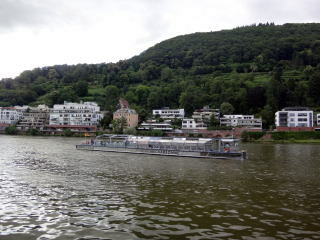 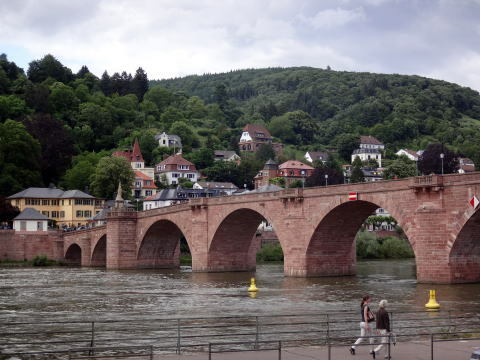 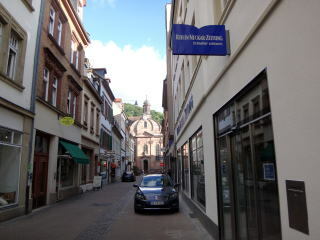 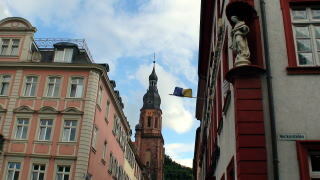 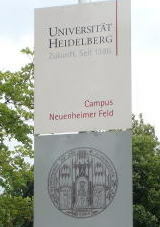 At Heidelberg, gas price is 1.449 eurs ( 1.96 USD ) for diesel, and super is 1.699 euros ( 2.25 USD ).